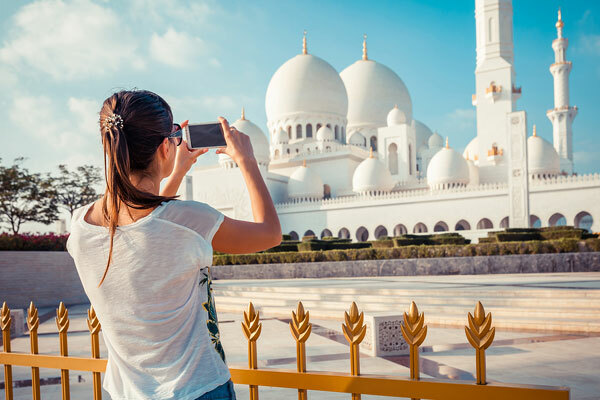 The number of Russian tourists travelling to the GCC is expected to increase 125 per cent, from 933,000 in 2018 to 2.1 million in 2023, according to data published ahead of Arabian Travel Market (ATM) 2019, which takes place at Dubai World Trade Centre from April 28 – May 1, 2019. Over the last 26 years, Russia has been well represented at ATM, with exhibitors including the National Tourist Union and Baltma Tours. Russian visitors to the exhibition increased 29 per cent YoY between 2017 and 2018, with the total number of visitors interested in doing business with Russia also increasing 3 per cent YoY. Danielle Curtis, exhibition director ME, Arabian Travel Market, said: Traditionally, the GCC has always been popular with Russian tourists. However, in 2015 the GCC experienced a large drop in the number of Russian visitors, which was a reflection of volatility in the financial and energy markets. As both factors continue to steady, we are once again witnessing a huge increase in Russian visitors and we expect this to continue. Russia continues to be one of the top 10 source markets for the UAE, with 530,000 Russian visitors entering the UAE in 2017, a 121 per cent increase from the previous year. This increase stemmed from the UAE’s introduction of visas on arrival for Russian tourists in 2017. Colliers International expects this trend to continue in 2018, with 895,700 Russian visitors expected, an increase of 69 per cent from 2017. Supporting this demand, in June, Emirates announced a third daily flight to Moscow, while in September the airline confirmed that it would be the first to fly an A380 to St Petersburg. Etihad Airways and flydubai have also increased their flights between the UAE and Russia, with flydubai twice extending its Russian network in 2017, adding flights to Makhachkala, Voronezh and Ufa, and daily flights to a second airport in Moscow - Sheremetyevo International. While the UAE is expected to account for the majority of Russian arrivals in 2018, Saudi Arabia actually witnessed the highest compound annual growth rate (CAGR) between 2013 and 2018, at 20 per cent compared with 17 per cent for the UAE. Following recent reforms in the kingdom and the relaxation of visa regulations, Saudi Arabia is poised to capitalise on these factors as it nurtures a vibrant leisure and entertainment sector, supported by a new generation of hotels. “Higher Russian visitor numbers will help support investment opportunities and economic diversification, in line with the kingdom’s plans to target 30 million visitors annually by 2030,” added Curtis. Despite the UAE and Saudi Arabia leading comparative growth, Oman witnessed an increase of 11 per cent between 2013 and 2018, while Kuwait experienced an aggregate growth rate of 7 per cent. ATM – considered by industry professionals as a barometer for the Middle East and North Africa tourism sector, welcomed over 39,000 people to its 2018 event, showcasing the largest exhibition in the history of the show, with hotels comprising 20 per cent of the floor area.